Merry Christmas and a venturous New Year!!! Dear Colleagues! We congratulate you with the coming Christmas and New Year! Let the holidays bring warmth and rest both to your home and your hearts. Let them melt all troubles and fill your offices with love and care. Be prosperous and healthy all 2018 long! All the best in 2018! 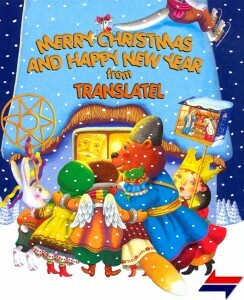 Best wishes from your Ukrainian partners at Translatel!